Type of control valve that uses a flat circular plate in the pipe which rotates ninety degrees across the cross section of the pipe to control flow. Water supply system that is a combination of both gravity and direct pumping systems. It is the most common type of municipal water supply system. Water supply system supplied directly by a system of pumps rather than elevated storage tanks. Fire hydrant that has its operating valve at the water main rather than in the barrel of the hydrant. When operating properly, there is no water in the barrel of the hydrant when it is not in use. These hydrants are used in areas where freezing could occur. Pressure created by the rate of flow or velocity of water coming from a discharge opening. Control valve with a solid plate operated by a handle and screw mechanism. Rotating the handle moves the plate into or out of the waterway. Water supply system that relies entirely on the force of gravity to create pressure and cause water to flow through the system. The water supply, which is often an elevated tank, is at a higher level than the system. Found on a Hose coupling, it provides identification of the first thread to prevents cross threading. Water main arranged in a complete circuit so that water will be supplied to a given point from more than one direction. Also called circle system, circulating system, or belt system. Outside stem and yoke valve; a type of control valve for a sprinkler system in which the position of the center screw indicates whether the valve is open or closed. Instrument that is inserted into a flowing fluid (such as a stream of water) to measure the velocity pressure of the stream; commonly used to measure flow. A pitot tube functions by converting the velocity energy to pressure energy that can then be measured by a pressure gauge. Storage tank used during a relay or shuttle operation to hold water from water tanks or hydrants. This water can then be used to supply attack apparatus. Also called Catch Basin, Fold-a-Tank, Portable Basin, or Porta-Tank. 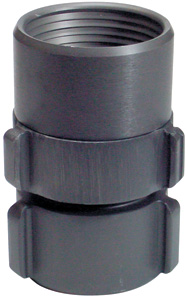 A type of valve used to control underground water mains that provides a visual means for indicating open or shut position; found on the supply main of installed fire protection systems. Using two or more pumpers to move water over a long distance by operating them in series. Water discharged from one pumper flows through hoses to the inlet of the next pumper, and so on. Also called Relay Pumping. Pressure at the test hydrant while water is flowing. It represents the pressure remaining in the water supply system while the test water is flowing and is that part of the total pressure that is not used to overcome friction or gravity while forcing water through fire hose, pipe, fittings, and adapters. (1) Potential energy that is available to force water through pipes and fittings, fire hose, and adapters. (2) Pressure at a given point in a water system when no water is flowing. Method of water supply by which tenders/tankers continuously transport water between a fill site and the dump site located near the emergency scene. Fire hydrant that has water all the way up to the discharge outlets. The hydrant may have separate valves for each discharge or one valve for all the discharges. This type of hydrant is only used in areas where there is no danger of freezing weather conditions.